While real estate agents are often the face of a brokerage, managing brokers work behind the scenes to make sure they put their best foot forward. Managing brokers wear many hats in order to properly support their agents and lead their team toward greater success. Whether it’s through training, assisting agents with difficult transactions or providing training and educational opportunities, the best managing brokers are committed to making sure that their agents succeed. The best way to support agent will vary depending on the individual’s skill set. 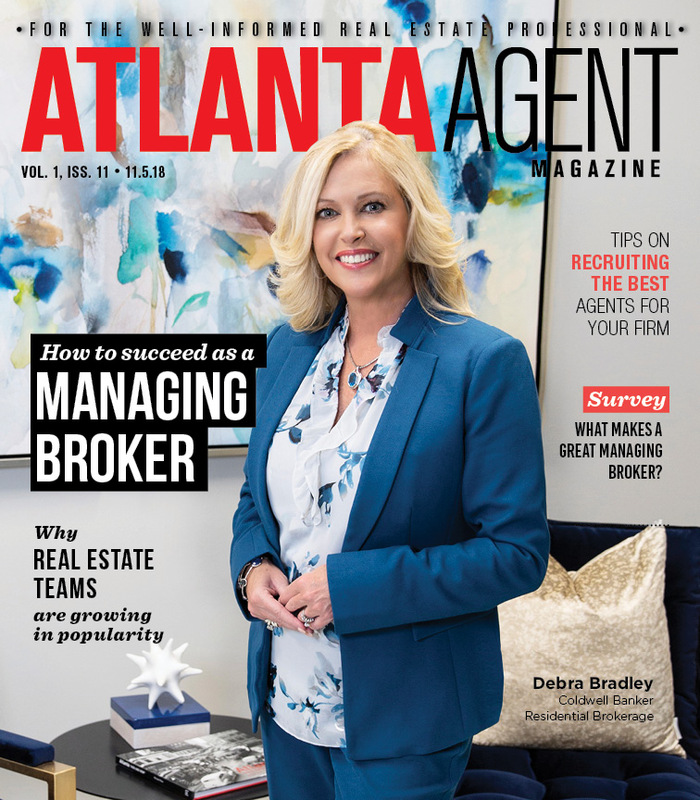 Lisa Johnson, senior vice president and managing broker at Atlanta Fine Homes Sotheby’s International, says that she works to be available and present for her agents to learn what they need and how she can be there for them. Michael Delaney, managing broker at RE/MAX Solutions, is quick to point out that every brokerage is different and the definition of a successful agent and office is up to those individuals. “One of the things I love about RE/MAX is that Dave Liniger says there are many ways to define success. So if you compare me to other brokerages, I may not seem very successful. But I define success as being able to do business the way I like to do it, taking care of my clients, and having time for family while earning a good living,” he says. Growing an office is a task that many managing brokers are constantly looking to do – whether it be by recruiting top agents in the area to join their brokerage or training a new agent to become a cornerstone of the brokerage. Bradley says that they have found that agents have four areas in which they want support: production power, coaching, a culture with likeminded individuals, and a culture of building true wealth. She works to make sure that the entire staff understands those core values and to help each agent live their best life, however they choose to define it. “We believe the best is yet to come and these four principles help us realize the potential of the agents that we are retaining and the ones that we are recruiting,” she says. For some agents, the allure of a well-known brand is part of what brings them to a brokerage. Johnson notes that while Atlanta Fine Homes is a strong brokerage in the metro Atlanta area, agents who join know that they become part of a larger international brand, too. But everyone agrees that it is not just about recruiting top agents, but recruiting the right agents that will make the brokerage successful overall for everyone there. “People want new agents who have the same business mind and work ethic,” Johnson says. Delaney is also honest with potential agents who come to him about the type of culture they have at the office and whether or not he believes the partnership would work. The size of a brokerage is inevitably going to have an impact on the work that a managing broker can do with its agents, but managing brokers at larger offices do not automatically need to struggle to support their agents. Johnson says a managing broker can be spread too thin as a brokerage expands, but it’s important to also grow your staff to help support you. Delaney takes a hands-on approach with his agents while trying not to micromanage. He notes that he still looks at contracts to make sure everything is correct to help take some of the burden off the agent. Bradley finds that working with a national network like Realogy allows her to find that balance between being a bigger brokerage while still having the individual relationships that flourish in a smaller firm. But in the end, many agents still don’t completely understand the exact duties and responsibilities of a managing broker. The broker’s job may look glamorous on the outside to many agents, but it can be extremely difficult, Johnson says. Often, she gets involved in a challenging transaction for one of her agents, and at that point, emotions are high for both the buyer and the seller. Though there are obstacles along the road to success, being a managing broker has its share of rewards as well — including the opportunity to serve as an industry leader and inspire others in their lives and careers.